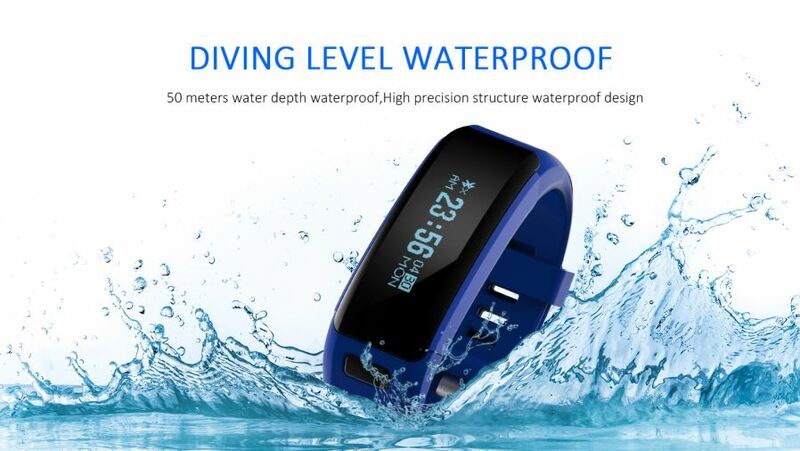 Diving Level Waterproof 50 meters water depth waterproof, High precision structure waterproof design. 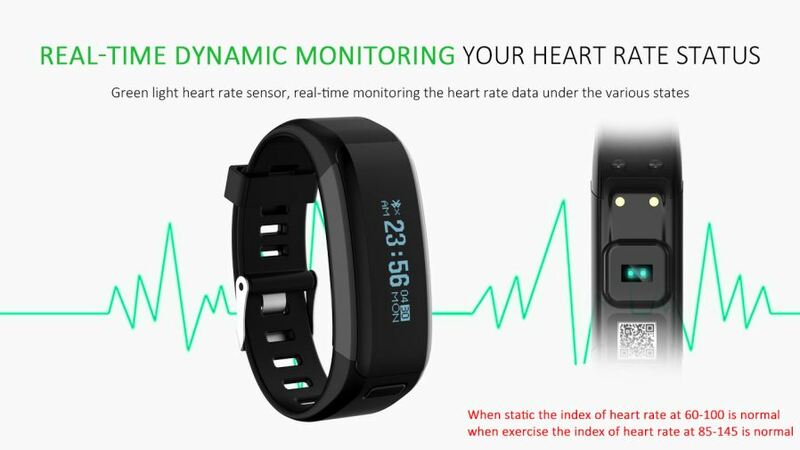 Real- Time Dynamic Monitoring Your Heart Rate Status; Green light heart rate sensor, real- time monitoring the heart rate data under the various states. 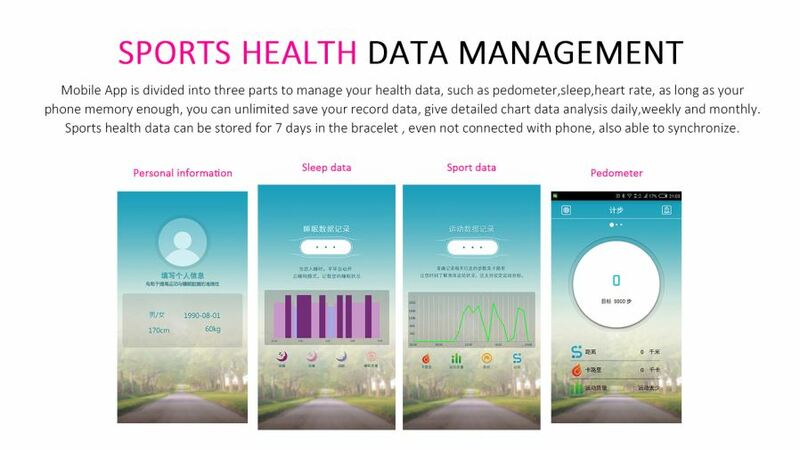 Sports Health Data Management: Mobile App is divided into three parts to manage your health data, such as pedometer, sleep, heart rate, as long as your phone memory enough, you can unlimited save your record data, give derailed chart data analysis daily, weekly and monthly. 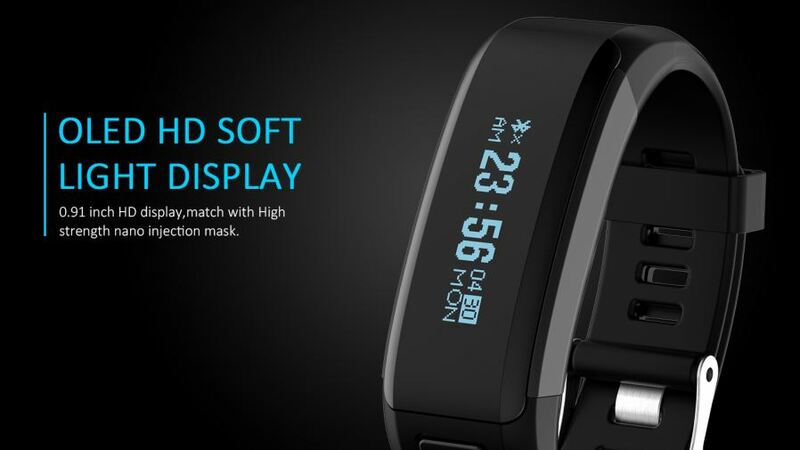 OLED HD Soft Light Display 0.91 inch HD display, match with high strength nano injection mask. 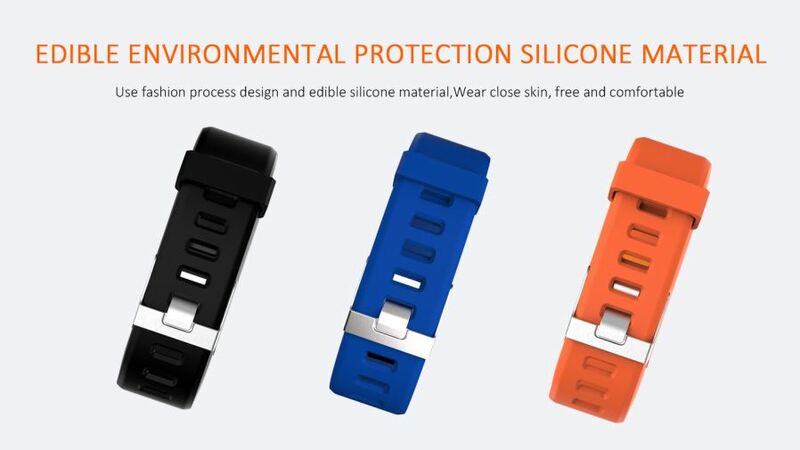 Edible Environmental Protection Silicone Material; Use fashion process design and edible silicone material, Wear close skin, free and comfortable. 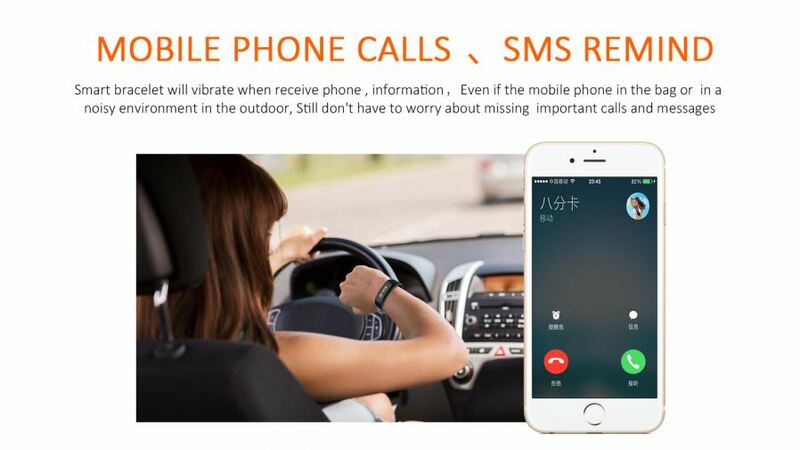 Mobile Phone Calls, SMS Remind; Smart bracelet will vibrate when receive phone, information. 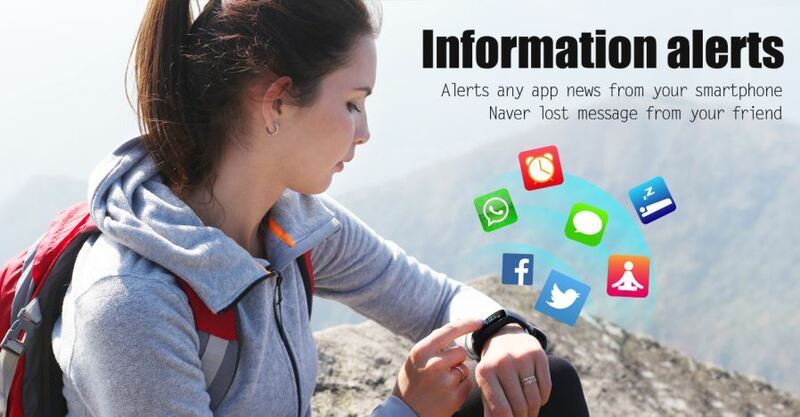 Even if the mobile phone in the bag or in a noisy environment in the outdoor. 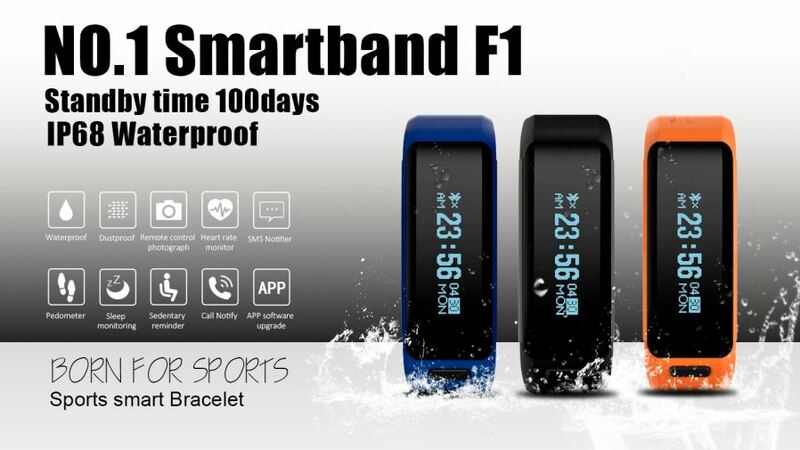 Still don not have to worry about missing important calls and messages. 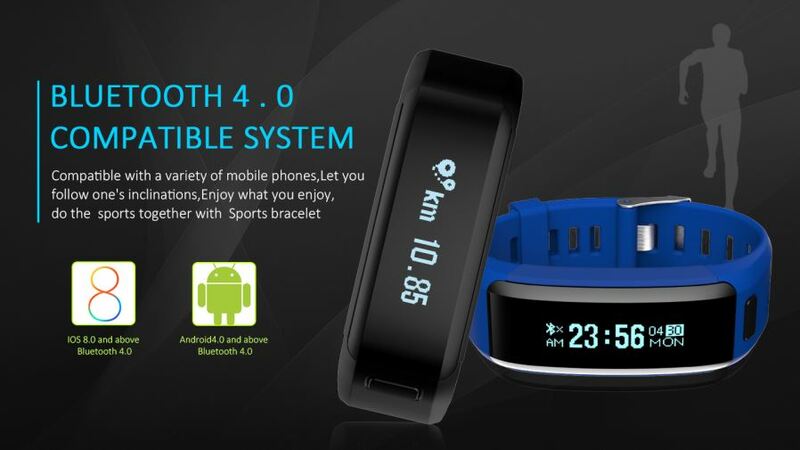 Bluetooth 4.0 Compatible System: Compatible with a variety of mobile phones. 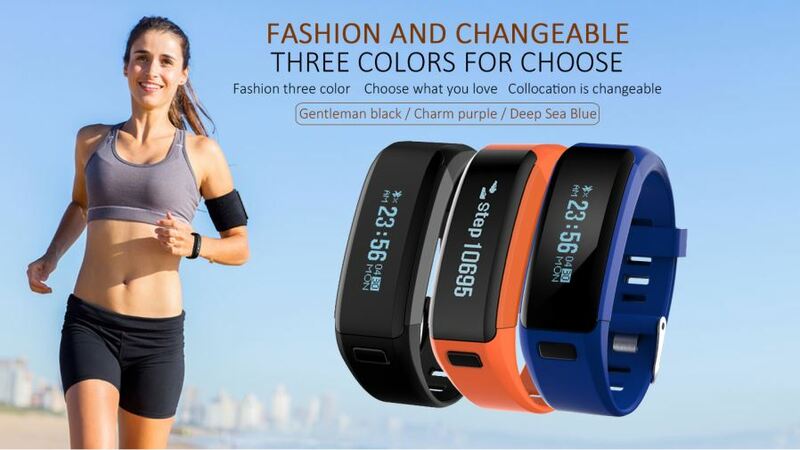 Let you follow one's inclinations. 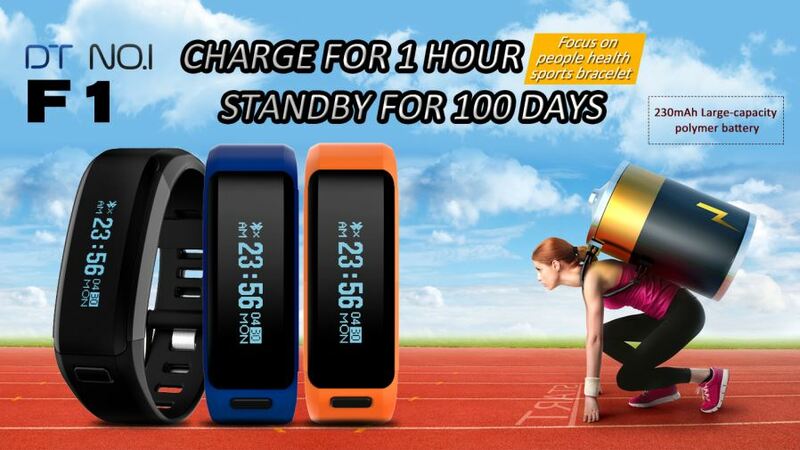 Enjoy what you enjoy, do the sports together with Sports Bracelet. 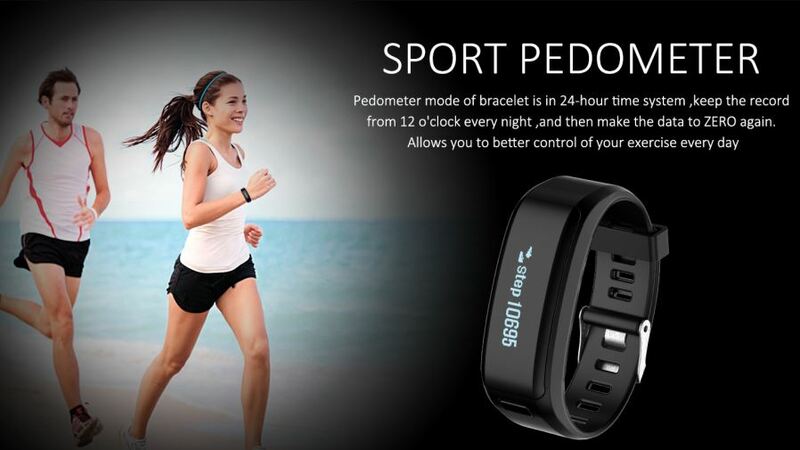 Sport Pedometer: Pedometer mode of bracelet is in 24-hour time system, keep the record from 12 clock every night. 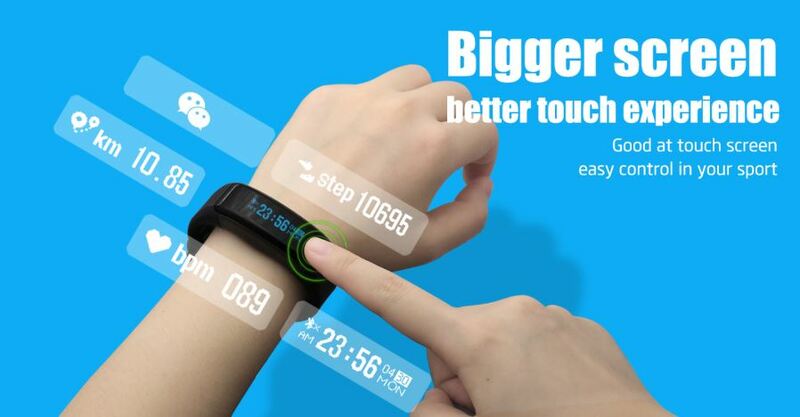 And then make the data to ZERO again. 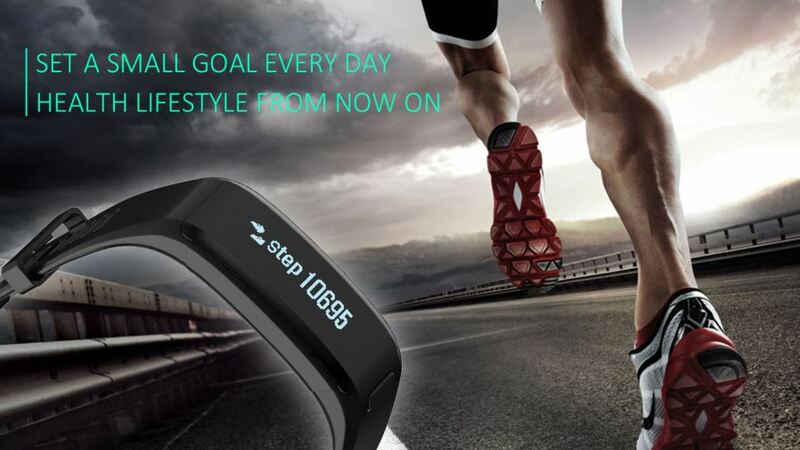 Allows you to better control of your exercise every day. 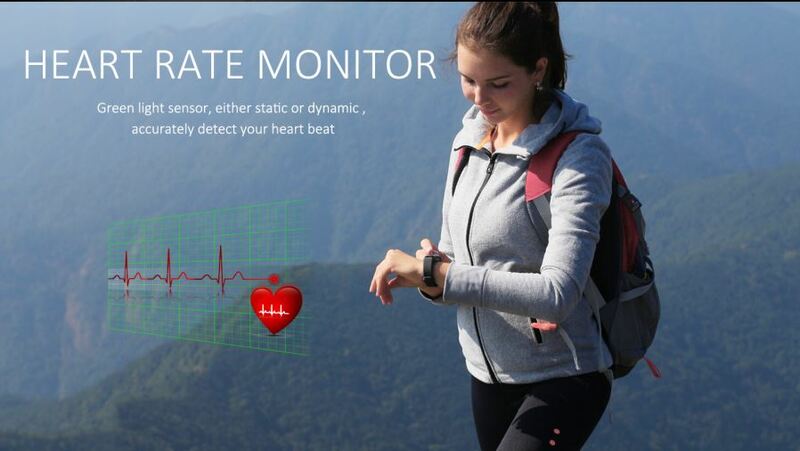 Heart Rate Monitor: Green Light sensor, either static or dynamic, accurately detect your heart rate. 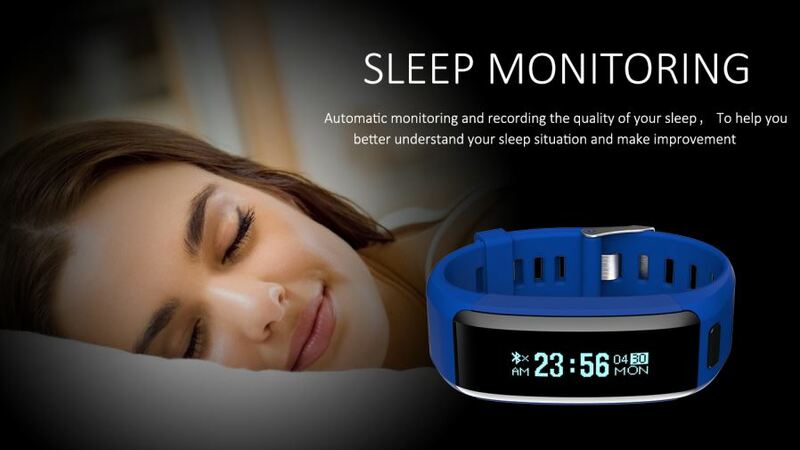 Sleep Monitoring: Automatic monitoring and recording the quality of your sleep. 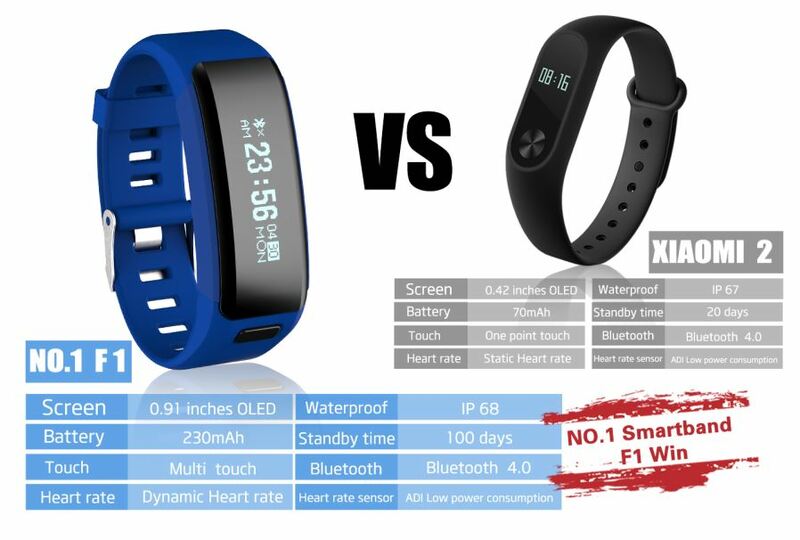 To help you better understand your sleep situation and make improvement. 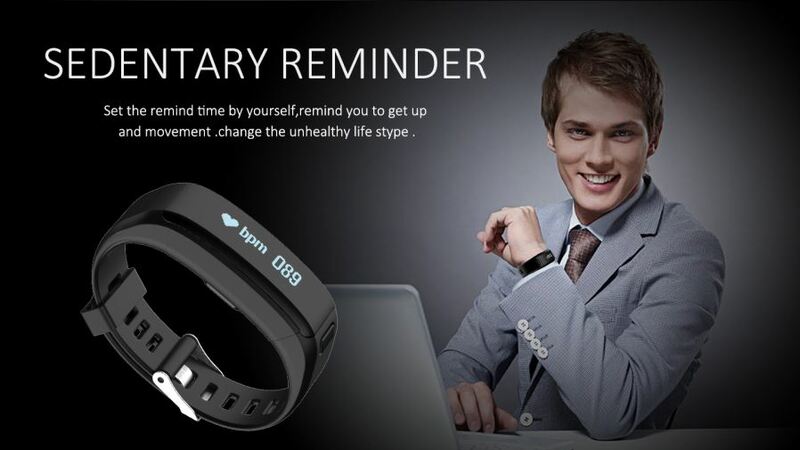 Sedentary Reminder: Ser the remind time by yourself, remind you to get up and movement.